Windows are an important part of any home and can fill a number of roles. In addition to exposing a room to natural sunlight, they can be opened to let in fresh air movement. Depending on the purpose of the window and the aesthetic of the room, you may need a specific type of window. There are a number of window designs on the market that differ by functionality and style, so reviewing the basic types of windows can help you determine what may suit your needs. Casement – This window type is hinged on one side and can be opened toward the outside by turning a crank handle. This type of window provides great security considering the crank handle is only on the inside. This makes it exceedingly difficult for those on the outside to open it. Since this style is sealed on every edge when shut, casement windows provide excellent noise reduction and prevent air leakage, while also allowing great ventilation when open. Be sure not to place these near a walkway, though, as they can impede traffic when the pane is open into the outside. Double hung – A common style in homes, the double-hung window features two panels that can be moved vertically and open the top or bottom of the pane. When both areas are open, natural air flow can easily freshen up the home or cool a room down. The only downside is that the rail in the center of the pane can obstruct the outside view. 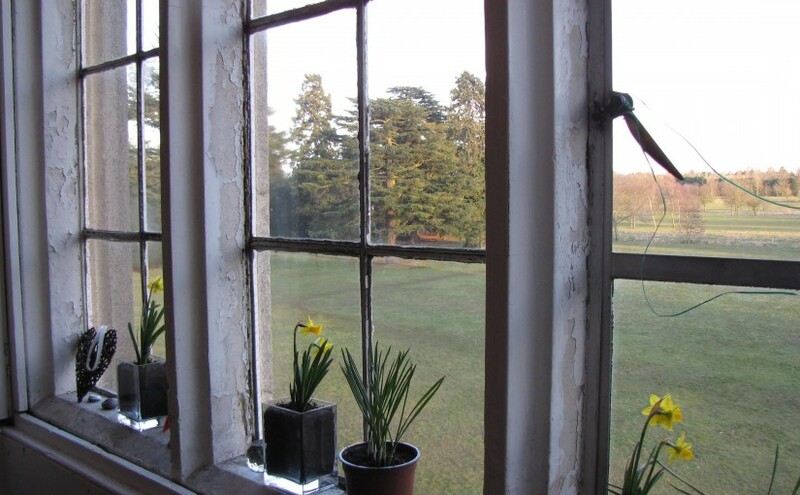 Single hung– The single hung window features one pane that can be moved vertically. This means that only the bottom of the pane can open but can be opened either vertically or by tilting the pane inward. While you are not able to open both the bottom and top sash, you can still feel a better breeze than that which traditional windows provide. Fixed – As the name implies, a fixed window cannot be opened. Although this doesn’t allow any airflow, the view is completely open and can provide fantastic lighting or a panoramic view. With a completely airtight edging, you also won’t need to worry about any noise or air conditioning escape. Awning – Much like the casement style, an awning window is hinged to open toward the outside, but these feature a connection at the top so that the window opens at the bottom and creates a downward slope when opened. This means that it can be left open even during the rain. Gliding – These windows include a panel that slides to the left or right to open, allowing easy access to the outside. These are also usually big enough for evacuation, making them a common choice for children’s rooms. The compact opening space also makes gliding windows a great option near patios and walkways. Bay – Bay windows provide a three-sided view of the outdoors through a wide window in the center and two more narrow windows flanked on its sides. This window is more popularly seen as the choice window for comfy reading nooks. Skylight – Installed on the ceiling, these windows can provide natural light in dark places such as the attic or a closet. Those referred to as roof windows cannot be opened, while some can open for ventilation. Some models can even include remote controls to adjust UV exposure or blinds. Custom Shaped – Most custom-shaped windows are fixed although it is not impossible to find smaller custom shaped windows that have openings. These windows can come in a variety of sizes and are more commonly used as a way to add extra natural light in a room. Jalousie – Also called a louvre window, this design features parallel glass, acrylic, or wooden slats that can be tilted open or closed to control the flow of air or light. These provide excellent ventilation and can typically be left partially open even in rain. Choosing the perfect window for your home has never been easier thanks to the wide variety of high-grade vinyl windows offered at AWP Windows. All windows sold by AWP have a limited lifetime glass breakage warranty and a limited lifetime warranty on labor so should any unexpected events occur, you aren’t worried about the state of your windows. Contact AWP windows today to get your state-of-the-art vinyl replacement windows at affordable pricing. Your expectations are sure to be exceeded.